The Climate-KIC Accelerator program supports promising startups to transform their ideas that have a high impact on climate change into a scalable business. Since its establishment in Switzerland, the program now counts 76 Swiss startups in its portfolio, including the newly selected startups for the winter batch 2018. 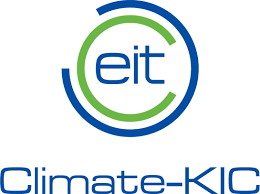 The newly selected batch will join the Climate-Kic Accelerator where they will participate in a three-stage program. In the first stage, the startups will refine their business model and in the second stage; they validate their business model and focus on acquiring their first customers. By the end of the third stage, the startups will be set for future investment rounds and scaling. The equity-free grants offered at each stage are €20’000, €25’000 and €50’000 respectively. AgroSustain – develops effective plant-based treatments that prevent the development of fungal pathogens on fruits and vegetables. FenX – develops non-flammable insulation foam panels made from widely available mineral waste such as fly ash for the building market. Gaia Membranes – manufactures membranes that reduce the storage cost of vanadium flow batteries. GRZ Technologies – develops hydrogen-related technologies for renewable energy storage using metal hydride. KOMP-ACT – is developing cost-effective electric actuators for pneumatic replacement to reduce machinery' energy consumption. KITRO – the company aims to reduce food waste by automating food waste management for canteens and restaurants. Swiss Vault – is developing energy and space efficient data storage systems, which decreases the data-carbon footprint. In addition to revealing the cohort of the Winter 2018 batch, Climate-KIC announces the launch of its new Investor Marketplace designed to connect investors with Climate-KIC startups across Europe. Investors interested in getting the full profile listings of Climate-KIC startups currently fundraising can submit an application to join the platform here. Climathon is a global movement dedicated to solving the toughest climate challenges cities face. 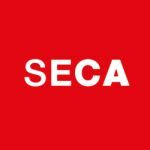 In Switzerland, the city of Zurich and Lausanne are hosting the 24-hour hackathon on 26th October. Developers, entrepreneurs, students, and enthusiasts will work together with city officials and partners to bring about a shared vision for a healthier city. Key issues to tackle include the future of food, energy, green spaces in the city and mobility. Registration deadline will expire on October 24th. Photo: Kitro's device for reducing food waste.